Hackensack Meridian Health Palisades Medical Center Foundation — Volunteer Now! Volunteer Opportunities are also available at The Harborage nursing home and rehabilitation center on the Palisades Medical Center campus. For more information, please complete the forms below or call Alicia Duroy at (201) 854-8325. Thank you for your interest in volunteering at Hackensack Meridian Health Palisades Medical Center. Complete forms below to join our volunteer team! 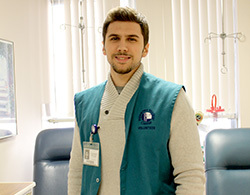 Palisades Medical Center volunteers are diverse in their backgrounds and ages. 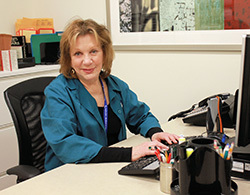 But the one thing that all Palisades Medical Center volunteers have in common is their generosity. They are always eager to give of themselves to enrich the lives of our patients, staff and visitors. We invite you to join our team of dedicated volunteers to ensure that Palisades Medical Center continues to provide world-class care for our community. By volunteering, you can make a difference in many lives — including your own. Studies have shown that people who volunteer live longer, healthier and happier lives. Help make patients feel more comfortable by spending quality time with them, providing transport services and running errands. Assist patients who are unable to feed themselves. Flexible hours are available (one or two hours per meal). Work the cash register and Lottery machine in our popular Gift Shop, which is open daily from 9:00am to 7:00pm. Lend a helping hand to office staff. 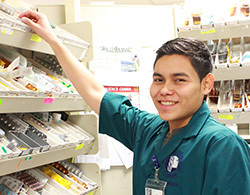 Palisades Medical Center is the perfect place for local high school students to volunteer thanks to our flexible scheduling and summer volunteer opportunities. By volunteering, students can make their college applications stand out from the rest by building on their resume of activities. Local students also fulfill their high school community service requirements by volunteering at Palisades. For more information, please call Denise Whitley, Coordinator of Volunteer Services, at (201) 854-5011.